The third major way of destroying the enamel on our teeth is through erosion. We have already discussed the two other major ways of destroying enamel here and here, but perhaps the most common cause is because of erosion. With abrasion and attrition, the depletion of enamel occurs through some sort of grinding and the difference between them is marked by what exactly is doing the grinding. Erosion works in an entirely different way. Erosion is caused by acids depleting the enamel, such as the acids in foods and beverages or the acids that plaque can leave behind. There are actually several different ways that acid can erode our teeth. The first and most common cause of erosion is due to plaque. We have blogged here about plaque a lot before, but to give the basic overview plaque is caused by bacteria. 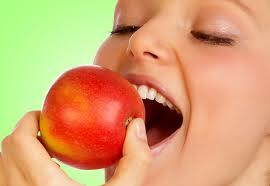 Bacteria that occur naturally in our mouths feed on the foods we eat, mostly the sugars, and leave behind plaque. Plaque then erodes our teeth. The best way to prevent this type of erosion is to be careful about the different foods you eat. Eating less sugary foods is very important, as well as eating only certain kinds of sugar. Processed sugars leave behind more plaque than natural sugars. So eating a piece of candy is going to be worse for your teeth than eating a piece of fruit as far as plaque goes. Another very important step to reducing plaque is to always brush and floss your teeth. After the bacteria have left behind their plaque it is important to remove the plaque as quickly as possible, by brushing and flossing. And of course it is always import to see a dentist like Dr. James A. Wells from South Charlotte Dentistry to regularly clean your teeth. It is generally recommended that everyone see a dentist like Dr. Wells once a year for a regular cleaning. The second most common means of erosion also has to do with our choice of food, which is because some foods are more acidic than others. Regardless of the sugar content causing plaque, some foods have their own erosive factors that can cause wearing of enamel in addition to causing plaque. Drinks like sodas are high in acid content as we all know, and can often cause some very problematic erosion. Something that is not often known however is how foods like apples also contain a high acid content and will erode the enamel. Generally we think of apples as a very healthy food to eat, and they are, but you should be careful about eating them because of the high acid content. There are many different types of acids that can erode the teeth and they are found in most of the foods we eat. This doesn’t mean that we should avoid acidic foods altogether. Human saliva has a special agent in it that helps our teeth to re-mineralize after consuming acid. But we should always be careful to consume acidic foods in moderation. For a more in-depth look at the different types of acids found in foods, please click here and here. The last and least common way that teeth get eroded happens when we get sick. Stomach acid is, of course, acidic. When vomiting, the stomach acid washes over our teeth and causes them to erode. This is usually the least common cause of erosion for people since most of us don’t get sick too often. However, patients who suffer from gastroesophageal reflux disease, or more often known as acid reflux, can easily have this cause of erosion skyrocket to the top spot. Those who suffer from acid reflux will have a very acidic oral environment, and should be careful about maintaining their oral health. When someone is often sick, their mouth becomes very acidic as well. Regular dental appointments with dentists like Dr. Wells are the best way to keep the damaging effects of acid reflux on the teeth under control. Pleasecheck out our next article in this series: What Causes Teeth to Wear Out Early: Abfraction. If you are concerned about any of the factors of erosion listed here then you can make an appointment with Dr. Wells’ Ballantyne office to discuss your oral health options! If you would like to make an appointment, please visit our contact us page or don’t hesitate to call us at 704-759-0908!